To accelerate our business value realization from data science and to continue building Machine Learning/Deep Learning and Artificial Intelligence capabilities in Swedbank, we are looking for experienced data scientists with an edge in DevOps and SW development. As member of the Analytics & AI team you in Swedbank, you will be part of a highly-prioritized, fast growing focus area within Swedbank Group tasked with driving sales, service and customer satisfaction as well as automation and operational efficiency through the usage of data, analytics and AI. As a Senior Data Scientist you have a central role in driving, executing and operationalizing analytical engagements, by leveraging machine learning and deep learning. Our portfolio of analytical services includes areas such as churn predictions, upsell/cross modelling, anomaly and fraud detection and time series predictions. You will also work closely with data engineers to support deployment of machine learning/deep learning models in data lake environment by applying latest DevOps technologies and best practices from agile SW development. You have a genuine interest in solving complex statistical problems, a structured approach towards data mining, a deep understanding of appropriate analytical algorithms and models and broad experience in leveraging relevant tools and methods. We expect you to have good knowledge in programming languages or high-level scripting such as Python and R as well as data operations and management in Spark. You master all aspects of descriptive, predictive and prescriptive analytics. You are part of and contribute to building strong teams in a creative environment in combination with genuine interest in solving complex business challenges and a structured approach to apply innovative analytics tools and technologies together with your team. As an individual you are a persistent problem solver with strong innovation drive and can-do attitude. You are comfortable with communicating the result of your work (both written and verbally in English) and enjoy collaborative work environment. You take pride in translating data driven insights into actions and decisions but also transform business vision and strategy to relevant analytical topics for development. You are expected to be an expert in your field, and constantly keep up with trends and technologies; you seek and share analytical inspiration and best practices from both internal and external sources. You are expected to lead, assist and knowledge share with others in advanced analytics, and be able to work across the business with Group Business Intelligence and GCVM Data & Tools, with various subject matter experts and business analysts. In the coming year, we focus on continue scaling up the development and operationalization of analytical insights and models especially with regards to deep learning and real-time streaming models. You have +4 years of experience from roles such as Sr Data Scientist, DevOps Engineer or SW backend Developer. You have a master/PHD degree in mathematics/statistics, applied physics or computer science. You don’t need to have previous experience from banking however it is important to demonstrate successful track record of delivering end-to-end machine learning and deep learning engagements. This position provides excellent opportunities to gain better understanding of underlying market and customer drivers which can be leveraged later on in other managerial roles within Analytics & AI, sales & marketing roles and/or product/service development for private and corporate customers. We are a highly skilled, dynamic team with broad diversity who take on challenges with a great deal of energy, passion and innovation. In our team we have an open and transparent atmosphere. We believe in giving a lot of freedom paired with the corresponding level of responsibility and accountability We strive to achieve a good work/life balance and we are always open to new ideas and thoughts helping us improving as a team. From November 28, 2018 Latvian Labour law requires that job ads include information about the salary level for the position. Therefore if you will be employed in Latvia, please note that salary offered for this position starts from 2250 EUR gross i.e. before taxes. 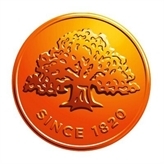 In Swedbank salary offer for the final candidate is determined based on the predefined salary ranges for the position, and depends on the level of competence and experience of the candidate. Salary is one part of the overall remuneration including variety of other benefits and many opportunities provided by Swedbank. Group Customer Value Management (CVM) is responsible for strengthening customer loyalty through proactive, relevant and tailored offers based on customer data. CVM will bridge the gap between customer expectations and our offerings. Want to get notified about new jobs at Swedbank AB?